Uill, cha bu toil leinn Gàidhlig fhaighinn mar dhàrna no treas cànan: dè mu dheidhinn mar phrìomh chànan? Agus an-dèidh na Gàidhlig, Fraingis/Gearmailtis agus Cuimris/Gàidhlig na h-Èireann? Thig Beurla gun oidhirp. Chan eil seo fìor mu dheidhinn cànain sam bith eile. Tha Beurla anns a h-uile àite, air a h-uile meadhan. Nuair a bha mi ann an Tromsø, chunnaic mi soidhne san oilthigh - anns an Nirribhis, anns a' Bheurla agus anns an t-Sàmais, dìreach mar sin, N-B-S. Air na trèanaichean an Nirribhidh 's anns an t-Suaine bha na sanasan anns an Nirribhis/t-Suainis agus anns a' Bheurla. Uill, tha sinne co-dhiù ag ionnsachadh na Ruisis, ged a tha i anns a h-uile àite san Ruis agus mu ar timcheall. Seonaidh wrote: Thig Beurla gun oidhirp. 'S dòcha gu bheil diofar eile ann cuideachd, chan eil fhios agam. A bheil cuspair "Litreachas" ann an sgoiltean Albannach? Cha robh ann an sgoiltean Seacach, chaidh litreachas (an dà chuid litreachas Seacach agus litreachas na cruinne) a theagasg sna leasanan air a bha "Seacais". Gu dearbh, san àrd-sgoil, bha leasanan "Sheacais" mu dheidhinn gràmair gann, bha a' phrìomh chuideam air litreachas; agus ged a fhuair sinn 's mathaid an aon chuid fhiosrachaidh mu dheidhinn ùghdaran a bha a' sgrìobhadh sa Bheurla, Fhraingis, Ghearmailtis, Ruisis no Spàinntis na fhuair sinn mu dheidhinn an fheadhainn a bha a' sgrìobhadh sa Sheacais, bha "Seacais" air a' chuspair fhathast. "sa Sheacais"? 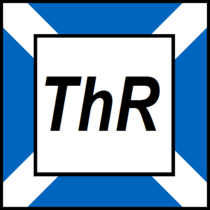 Cuimhnich: "as t-samhradh" amsaa: "san t-Seacais". Nuair a bha mi san sgoil "amser maith yn ôl" (o chionn fada) bha "English Language" ann agus "English Literature". Sin cuspairean na GCE (General Certificate of Education) air an robh an ainm "O-levels" - cha robh sin an Alba far a bheil "Standard Grades" agus "Highers" ann. Ach cha robh "English Language" ann mar "A-level" (rudeigin coltach ri "Advanced Higher" an seo): cha robh ach "English" agus b' e litreachas a bh' innte. Le cànanan leithid Fraingis, Spàinnis amsaa, b' e "language" a bh' anns na h-O-levels agus measgachadh de chànan agus litreachas a bh' anns na h-A-levels. Mar a thachras tha A-level sa Chuimris agam: a h-uile nì tro mheadhan na Cuimris agus mu dheidhinn litreachas - dìreach mar A-level sa Bheurla ach le Cuimris an àite Beurla. Chan eil mi cinnteach a tha mi air freagairt a chur don cheist agad ach tha mi 'n dòchas gum bi seo cuideachail. Seonaidh wrote: "sa Sheacais"? Cuimhnich: "as t-samhradh" amsaa: "san t-Seacais". Murt, bu chòir dhomh a bhith cleachdte ri dòigh an t-sèimheachaidh seo. Seonaidh wrote: Chan eil mi cinnteach a tha mi air freagairt a chur don cheist agad ach tha mi 'n dòchas gum bi seo cuideachail. Seadh, seo a bha mi ag iarraidh fhaighinn a-mach, mòran taing. Bha an siostam againn gu tur eadar-dhealaichte; suffice it to say nach robh "levels" againn idir, bha an ìre mhath na ceart leasanan is deuchainnean aig a h-uile duine, b' e na puingean a ghabh thu an rud cudromach. All I can say is I'm very taingeil nach fhuair ni pios on aithris ud a dh'eadar-theangachadh sna deuchainnean Gàidhlig mu dheireadh agam... Oir chan eil mi a' tuigsinn na Beurla innte. "The Gaelic Language Plan is part of our Corporate Plan and helps exemplify how Gaelic becomes embedded in our role, our priorities and how we intend for Gaelic Education to be part of our positive impact on Scottish education." B' fheudar dhuinn Gaelic Language Plan a dhèanamh. Seo e.
Glè mhath! Sin e dha-rìribh, tha mi eòlach air an dual-chainnt seo.